This Anaheim Ducks, Chicago Blackhawks series has provided some of the most memorable finishes to hockey games in recent memory for me. Matt Beleskey scored 45 seconds into overtime to give the Ducks a 5-4 victory against the Chicago Blackhawks on Monday in Game 5 of the Western Conference Final at Honda Center. A lot of hockey fans of said, that the Tampa Bay Lightning are playing the most exciting brand of hockey this postseason. That is hard to argue against. However, over the last number of games, the Western Conference has proven they have two evenly matched beasts, that are both hungry for a taste of Stanley Cup glory again. This is the first season in a while I could say these teams’ were the pretty obvious final four combination. But, there is nothing clear-cut to determine the ultimate winner. Each team as pulled off seemingly impossible victories. Battling through some intense adversity. 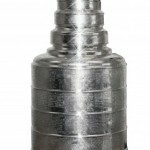 To last this long in the Stanley Cup playoffs you need: Skill, resilience, and character. The remaining teams have these qualities in spades. I would not be surprised to see these series go the distance. To determine the final two standing. Especially, apparent in the Western Conference one team have not been able to dominate a whole game. This speaks to the parity across the National Hockey League.